Adam, tell us about you. Who are you? What do you do? Do you have other hobbies? 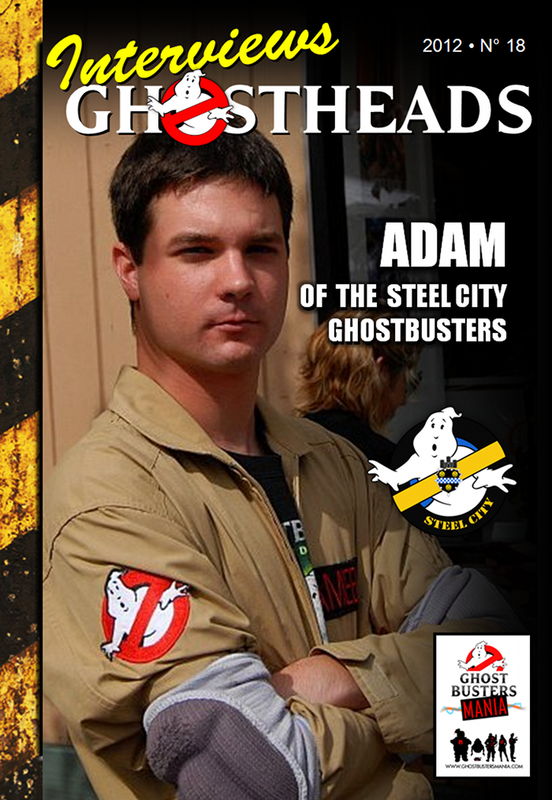 My name is Adam Ameel and I’m a member of the Steel City Ghostbusters based in Pittsburgh Pennsylvania. I am currently an Intelligence & National Security student at Point Park University and I intern at the regional All Hazards and Counter Terrorism Task Force called Region 13. Outside of being in the GB group, I like to attend car shows with my 1988 Fiero and also enjoy target shooting with my friends, some of whom are also members of the Steel City Ghostbusters. Like many of us, my passion started as a kid. My dad who has a similar taste in movies had shown me some of his favorites such as Indiana Jones and Back to the Future and when he first introduced me to Ghostbusters, I was hooked. It’s a passion that has stuck with me since then. My start with creating my gear came as a random impulse really. At the time I had bought my first piece which was my flight suit and belt, I had been serving in the US Navy in Norfolk Virginia. I was walking through the Navy Exchange when I came across these items for sale in the uniform section. So after a quick debate in my head, I purchased the flight suit and belt and my gear has been growing ever since. I later returned and bought one for my good friend and Steel City GB founding member Dave Coward and the allure took hold for both of us. I would be hard pressed to pick a favorite event but if I had to choose, I would say walking in the Pittsburgh Saint Patrick’s Day parade. This parade, which is the 2nd largest St Patrick’s parade in the US, was a great event for me and the SCGB. The amount of support that the fans there give us unbelievable and we love to interact with the crowd as much as we can. To me, first and foremost, it’s about having fun. Getting together with others who share the same passion as you and being who you wanted to be as a kid for awhile. A Ghosthead is someone who has more than the average love for Ghostbusters. Many people love our film, but us Ghostheads take it to an entirely different level and people seem to really get a kick out of it. 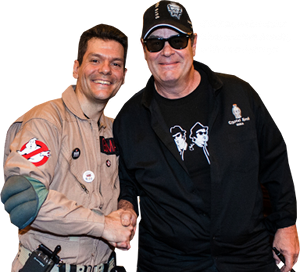 To be in the Steel City Ghostbusters is a real joy. We started as a smaller group, The Pittsburgh Ghostbusters, and eventually evolved into the SCGB. It’s great to be with these people who come from all ages and backgrounds to get together and have a great time. One of the greatest things about being in the SCGB is our charity work. To be together and celebrate our favorite movie is a very enjoyable experience, but what makes it even more valuable is what we give back to our community. We recently participated in a food drive and its really something that you can stand behind and be proud of. As always, our plans for this year are a work in progress but there are plenty of potential events coming up and, as always, we are finalizing the details for them and are excited for another great year with the Steel City Ghostbusters. Now, to conclude, do you want to say “hallo” to all the fans in the world? Keep on zapin, keep on trapin and as always your friends in the Steel City Ghostbusters are “Ready to Believe You”.